'Thriller' Songwriter Rod Temperton Dies At 66 Temperton wrote some of the most iconic pop songs of the 1970s and '80s, including Michael Jackson's "Thriller" and "Rock With You." 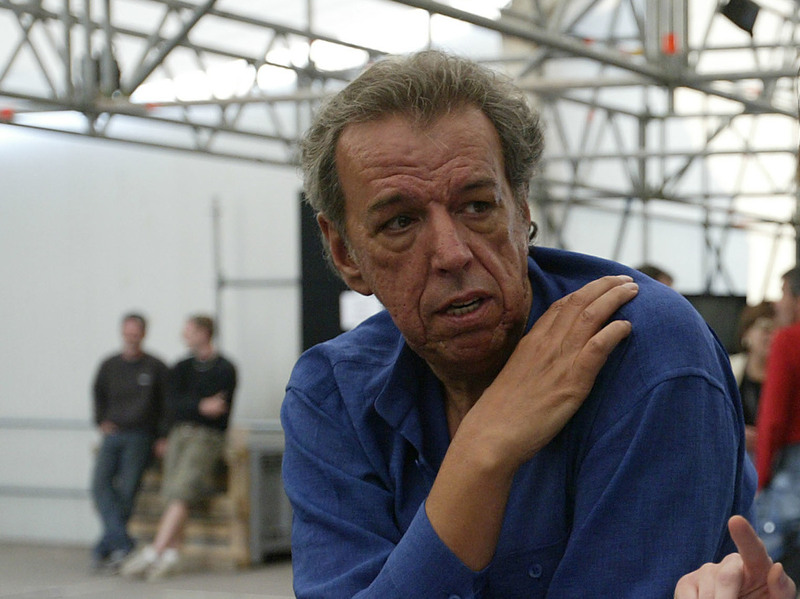 Rod Temperton backstage during rehearsals for the "We are the Future" all-star humanitarian concert, May 15, 2004 at Circus Maximus in Rome, Italy. Temperton wrote such hits as "Thriller," "Rock with You," and "Boogie Nights." But even disco had songs that were layered with great harmonies and robust horn parts. Temperton's ability to craft a song with funk and soul earned him comparisons to Stevie Wonder. Temperton grew up on the northeast coast of England. He said he went to sleep listening to Radio Luxembourg as child. After school he worked at a frozen fish factory. He taught himself how to play drums and keyboards. His professional career was launched when he answered an ad for a keyboard player in Melody Maker magazine. He not only got the job, but the songs he wrote for the band Heatwave were huge hits. For a time during the 1970s, you couldn't turn on the radio without hearing "Boogie Nights," "Groove Line," or "Always and Forever." One of those listening was legendary producer Quincy Jones. At the time, Jones was orchestrating Michael Jackson's solo career. He first enlisted Temperton to write songs for Jackon's 1979 album, Off The Wall. Temperton once said he was "shocked" to get the call from Jones, a musician and bandleader he revered. Temperton delivered three songs. Jones put all of them on Jackson's album: "Off The Wall," "Burn This Disco Out" and "Rock With You," which went to Number 1. 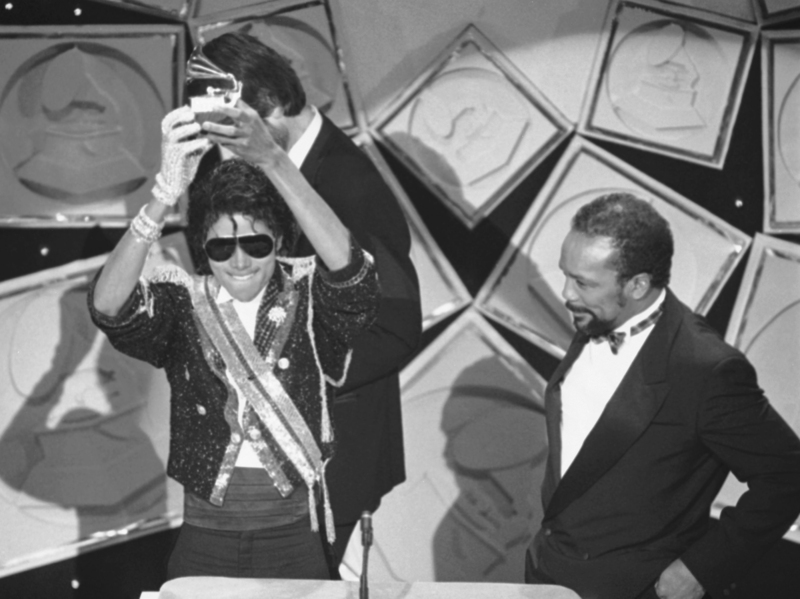 Michael Jackson, left, holds up his Grammy for Best Album of the Year as Quincy Jones looks on, in 1984. Rod Temperton wrote three of the hit songs for Jackson's smash album Thriller. His song "Thriller" was originally called "Starlight." In an interview for Thriller Remastered, Temperton said he always envisioned someone talking at the end of the song. Jones' wife, actress Peggy Lipton, suggested her friend, legendary horror star Vincent Price. Needless to say Temperton was, well, thrilled. The original plan was for Price to do whatever lines he wanted in the style of his movies. But the night before the recording session, Temperton said Jones was worried that might not work and suggested Temperton write something for Price to say. Temperton agreed even though he had little time. He said he "frantically started to write some stuff." But because he'd already written the lyrics to Thriller and said he felt the theme of the song was "so strong," the verses for Price came easily. It was, he said, "Just one of those lucky times it flowed out of me." Temperton was called "modest" and "unassuming." He was also known as someone who was constantly working. His other credits include songs for George Benson, Donna Summer and Anita Baker, to name a few. Temperton rarely gave interviews. His funeral was private. According to his publisher, "His family is devastated and request total privacy at this, the saddest of sad times."